The global economy is increasingly dominated by the production of knowledge goods and by struggles for control over information. 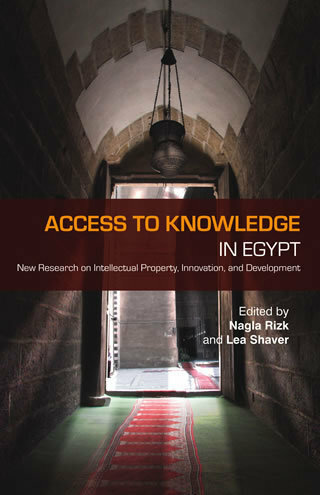 This book provides an overview of the challenges and opportunities facing efforts to promote access to knowledge in Egypt. The essays, written by leaders in the field, favor a deeper understanding of how the production of information, innovation, culture, and knowledge affects the core of human development and human rights. Combining both theoretical and empirical approaches, the work will be of interest to scholars and practitioners dealing with intellectual property and innovation the world over. Contributors: Ahmed Abdel Latif, Hossam Bahgat, Jack Balkin, Sherif El-Kassas, Sherif Kamel, Nagla Rizk, Lea Shaver, Rebecca Wright.